We perform a complete mold flow analysis on every new injection mold we build. 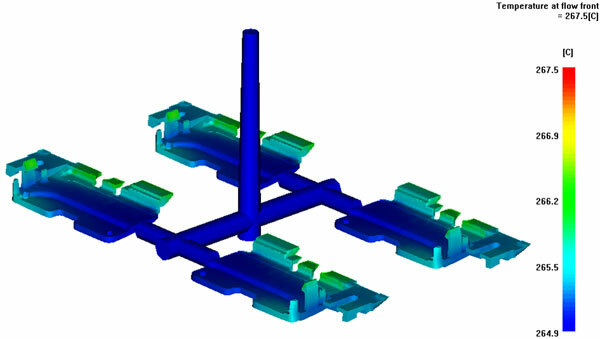 The moldflow software today is very accurate at predicting potential injection molding problems and bring benefits. 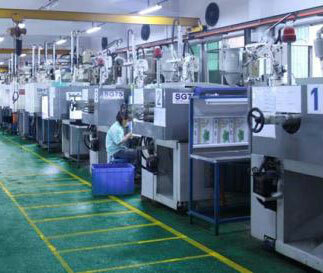 By optimizing the cooling circuitry valuable cycle time can be reduced. 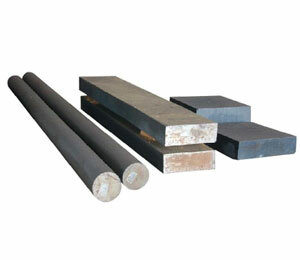 Warpage data can be used to play critical features steel safe or modify the part model by adding windage. Injection molders and mold makers who neglect this important step are losing a lot of potential profit in lost time and wasted material. Identifying "Knit Lines" that may be problematic. Observing the dynamic mold flow fill to better understand the way the resin fills the cavity and sometimes capturing air/gas within the final fill stages within the major parting line (sometimes called "Race tracking"). Adjustments in gate location(s) and/or adding vented ejector pin(s) in specific predicted locations can eliminate long term issues. Manipulation of Gate(s) locations will serve to establish lower residual stress patterns and potential warpage in the molded plastic part. Fill times can be reduced with optimum gate size and locations. Optimization of P/L venting placement (most tools I've seen over the years have had P/L vents placed along the flow length of the part, whereas, once the material flow passes the vent it is blocked and no longer functions. 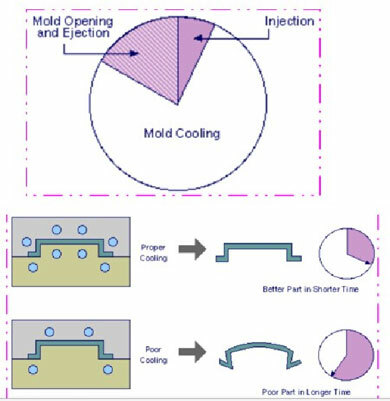 A short story that I'd like to share of the mold flow analysis advantage is concerning injection mold venting. Many years ago (When Grant was a Cadet) and long before the plastic injection molding industry had all the Computer Power we know today, most injection mold makers had one of those old style perfume bottles with the rubber squeeze bulb. Rather than perfume, the glass bottle was filled with Kerosene. The process was to initiate the molding cycle with a new plastic injection mold which had no vents added to the parting line. During the injection mold closure the mold maker would initiate a spray of Kerosene into the cavity area and during the actual cavity fill the kerosene would be compressed and ignite (Dieseling as we know it today) inside the closed mold. As a result, this ignition would leave a soot mark which identified the last areas of fill where a vent would be most efficient. Perhaps this tale of old has some meaning for those processing people who are constantly seeing dark streaks on light colored plastic parts because "Dieseling" is a very common result with inadequate venting. 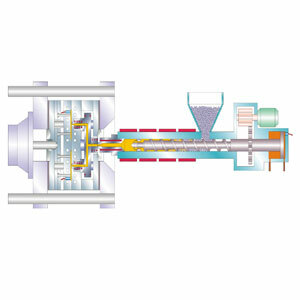 Injection mold venting is yet an area where mold flow analysis can provide great benefits. When I started as an injection mold maker back in the day we were told to wait and see after the first mold trial where we trapped gas. Glad to say that lost time and effort is not acceptable today. Another big advantage of mold flow analysis is knowing when you have reached the end of the flow length of the resin. Before mold flow analysis I always that it was a venting problem. The results is that it makes no difference in how much heat and pressure to apply if the flow length has been reached your done.